With the UFC changing their title belt design, current UFC champions will no longer get a new championship for every successful defense. Discussing the change on his Believe You Me podcast, Michael Bisping relayed an interesting note about the worth of the UFC’s old title belts. “Rashad Evans, obviously (a) former champion. I was working with him last week, Rashad Evans…former champion, has a belt at home. I don’t know how many he has, I don’t know if he defended the belt or not…but he definitely has at least one (for) when he knocked out Forrest Griffin. He was having a conversation with Dana White, Dana White told him that the old belts…the ones that we have are worth $300,000 each. That’s what Dana White told Rashad Evans,” Bisping said to Luis J. Gomez on the podcast. While Evans swears that is their worth, members of the belt collecting community would like to differ. Articles like this cause so many problems in the belt community and collecting in general. 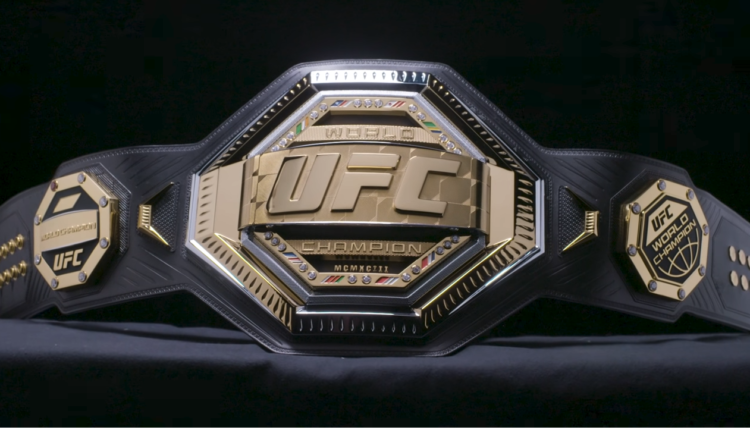 UFC has given away modified $300 replicas to champions since UFC 107. The Millican belts prior are a few thousand each.